KAMPALA – The High Court has quashed land inquiry directive which had payment of billions in compensation to businessmen under the land fund through the Uganda Land Commission (ULC). 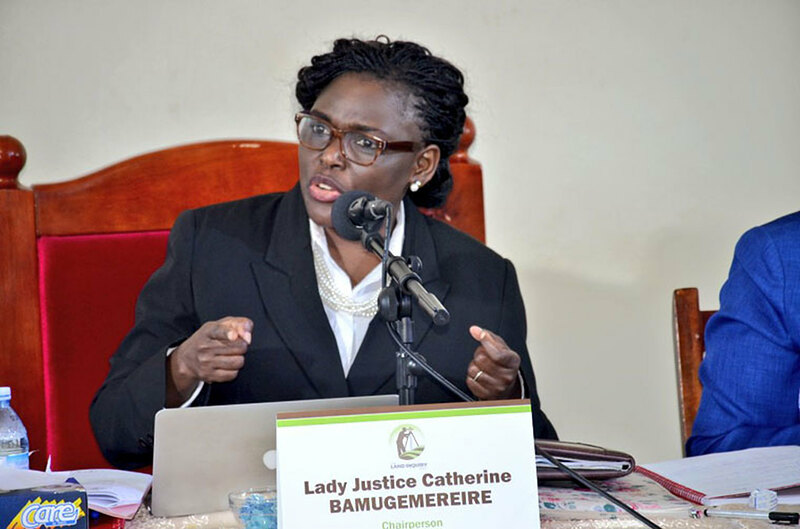 In August, the Justice Catherine Bamugemereire-led Commission of Inquiry into land matters instructed the ULC chairman, Mr Baguma Isoke to halt any payment from the land fund to claimants including Mr Robert Mwesigwa through his company, American Procurement Company (Amproc Inc) pending investigations. The land inquiry had directed that payment be made directly to the landlords who sold their interests in the various plots of land located at Kyaggwe, Buyaga and Bugangayizi to the businessmen. But High Court Judge, Dr Andrew Bashaija quashed the land inquiry directive and prohibited the officials of finance ministry, ULC and any other government department from implementing the recommendation. “A permanent injunction doth issue restraining any government department or official or any commission of inquiry from interfering with compensation as directed by court relating to land in issue or any other plot of land which is subject of court judgment or order,” the court ruled. The judge also quashed a decision by the Inspector General of Government to investigate compensation by ULC in issue for being illegal as well as compensation for the said land having been ordered by court. Court ruled that the land inquiry order invariably interferes with the independence of the judiciary. “It cannot be over emphasized that the Commission of inquiry has no mandate whatsoever to issue orders contrary to court orders or judgments over the same subject matter. The commission of inquiry is not a court of law. By ordering payment to persons other than the one ordered by court, the commission of inquiry overstepped its mandate and as such acted illegally,” the court ruled. The court orders resulted from an application for judicial review challenging the land inquiry directives. Court heard argued that the orders of the land inquiry were illegal, beyond its powers and irrational in respect of land which was subject to a court judgment. The court matter followed interrogation of several people Mr Mwesigwa, Chairperson of the Entrepreneurship League of the ruling National Resistance Movement (NRM) over accusations of irregularly accessing payment under the land fund. The land fund is a multipurpose resource envelope with diverse targeted beneficiaries including tenants seeking to buy or own land, government seeking to buy land for redistribution to bonafide occupants or resettlement of the landless, loans to persons waiting to acquire titles or even survey their land.